The rocky shores of Halifax jutted from the sea, her buildings and trees appearing and disappearing like black angled spectres playing hide and seek in the drifting mist. Her dark profile came as a relief to the hundreds of hearts beating on board HMHS Mauretania. Seven days and nights on the Atlantic had been too long, and the passengers craved the security of solid ground. The autumn air was cool, barely moving, the hovering mystery of fog undisturbed. As the ship neared the shore, Danny saw people wandering the hillside along the confusing grid of streets, small figures in black meeting up. He couldn’t hear them over the grinding engines of the ship, but he knew they were talking, laughing as if they hadn’t a care in the world. His gut twisted at the sight, though he knew it shouldn’t affect him this way. He couldn’t help it. What right did these people have to move with such optimism in their strides, to meet and walk and think nothing of what could happen in the next step? What right did the city have to so much life? So much hope? Danny’s parents were waiting for him when the tide washed the big ship into the Halifax port. They stood on the dock, two small figures wrapped in coats and scarves, waving. His father’s other hand was tucked under his mother’s elbow. They both stood tall, smiling, but Danny thought from that distance they looked older. Standing straight or not, they looked a little stooped. Coming down the ramp was awkward, as he’d known it would be. Danny was learning every day how to better manage the chunk of wood that was now his right leg, but he still leaned heavily on his crutch. He hated the leg. Hated the sores it wore on his stump. But he wasn’t very well going to carry on his life hopping like a one-legged rabbit. That was for damn sure. So when the nurse had offered to show him how to use the crutch properly, Danny had listened and learned. “Danny!” his mother cried, rushing forward. She stopped short two feet away from him, looking uncertain, her arms outstretched as if she were waiting to be thrown a ball. Her head tilted, catching the sunlight, and he saw grey strands threading in and out of her tethered hair. He didn’t think those had been there before. Or had they, and he hadn’t noticed? He shifted his crutch out of the way when she stepped forward and folded him against her, and he thought there was no better, no stronger place on earth than in his mother’s arms. She had cried that other day as well, eighteen or so months past, watching him climb the ship’s ramp along with Big Jimmy Mitchell and Fred Arnold. Back then they’d been a different kind of tears. And though he hadn’t been around to see it, he knew she’d cried again when he’d written to her about his two best friends being shot to pieces in the muck. But he wouldn’t think of that. Couldn’t. Not today, at least. For a moment he let himself hang on to his mother as if he were a little boy again, holding his breath to contain the sobs that pushed against the wall of his chest. He wouldn’t cry. Wouldn’t give in. Seemed awfully silly to cry, now everything was behind him. Daniel Sr. was a traditional man, a man who stood as if a pole had been slid into his spine. He was a fisherman and a Baptist minister, a man with such a strong belief that he expected that the sun rose or fell depending on how he carried himself. His father had worn his black suit today, the one he normally reserved for Sundays. The older man held his firstborn’s gaze for a moment longer than usual, and Danny felt suddenly like a child who had done something he couldn’t remember, but whatever it was, it would require penance. He knew he was expected not to look away, so he held his ground and studied his father’s even stare. He saw pain there, certainly, and loss. But there was something else, he thought. His father looked hollow. Tired. And . . . disappointed? Danny nodded. “Damn fine to be back, sir,” he said. “Danny! Your language!” his mother exclaimed out of habit. Her lips pursed in an expression he remembered well, a frown she’d given him for as long as he could remember. From back in the days when he was small enough she could wash out his mouth with soap. But she hadn’t done it often. Only when he hadn’t given her a choice. His mother enjoyed laughing more than anything else. Home. The familiar, aching face of love, half frowning at him for forgetting where he was. Home. The filth of battle beginning to peel like the curls of old paint from the surface of his heart. Home. No more waiting for shrapnel to shred his brain. From the ship they went to the schooner, all nineteen feet of it waiting quietly at the dock’s edge. Funny how land changed under a man’s feet. One day Danny’d been running through grass and roots, the next marching up to his knees in sucking mud. Now he walked on weathered timbers, and the wood of his leg met the wood of the dock. The ground here was predictable. Familiar. Setting foot in the boat was like coming home all over again. The rocking motion caused by his weight welcomed him like a feather mattress, and he fell back into the rhythm he had always known, helping to haul in ropes and cinch them, feeling for the current and sensing the momentum—though his balance was precarious these days. When the wind filled the sails and pointed them up the Eastern Shore, Danny sat and wondered if he really had just lived through a war. Or whether it had all been the most unimaginable of nightmares. The soft rocking of the boat and the sight of his father’s back was a comfort, and since he knew there was a good six-hour trip to go, he let his head nod. He woke a few times, but the exhaustion that had dragged him under kept him sleeping for most of the journey. When at last they approached his home, he awoke as if someone had tapped him on the shoulder, and he stared, fascinated at the sight. The house seemed smaller than he remembered it. And fragile, as if a nor’easter might just pick it up and drop it into the sea. Danny figured it looked that way because in the back of his mind he could still hear artillery fire, could still see mounds of dirt blasting up around the yard like fireworks, could even imagine a shell obliterating the house, leaving nothing in its wake but a shattered chimney. In a few months, as soon as they could pull together the money, he’d be introducing his beautiful Audrey to this place. How would he tell his family about her? She wasn’t from the area, that’s for sure, and sometimes the community could be tough on someone who came from away. To him, Audrey was incredible. How would they see her? He’d tell her first. His mother always knew how to do things like that. Ignoring their offers of assistance, he stepped awkwardly onto the dock and remembered how he’d never had to think about doing that before. The first time he’d ever climbed onto the dock was just about the same day he’d learned to walk. He could hop fences without effort, outrun any of the other kids, reach into that frozen ocean if the nets got tangled. All that was gone. He turned back for his bag, then realized with dismay his father had already pulled it out and was carrying it for him. Daniel Sr. looked at him then gnawed at the inside of one cheek while he thought about the request. They both knew it was an important question, and Danny saw when his father made his decision. “I’ve got it, son. Help your mother out of there, would you?” Without any change in expression, he turned and headed toward the little white house, Danny’s bag clutched in his hand. Just like that, Danny thought, feeling a dark red pulse of fury ignite in his chest. Even as a little boy, his father had made him carry his own things and more. “Work like a man and you’ll grow up to be a man,” he had always said. Looking back, Danny thought it was rather a strange expression, since he was fated to be a man whether he worked or not, but he understood the sentiment. And he had always worked hard. He had outworked pretty much every other boy around, and he’d done it partially so he could see the glint of pride in his father’s eyes. So what did this mean? Danny wasn’t going to be able to work like a man anymore? He was less of a man? Yes, Danny thought. Yes, it means exactly that. He turned back to the boat and offered his arm to his mother. She stepped gingerly onto a plank, leaned slightly against him, then stepped onto the dock. “Thanks.” Some things never changed, thank God. She cocked her head to the side, then smiled with so much pity Danny wanted to scream. The soft palms of her hands pressed against his cheeks, and her eyes searched his expression. But Danny stared back without exposing anything. He would not be pitied. He would not. There were boys over there hurt far worse than he was. There were better men than him who would never come back. They entered the house and Danny stopped, feeling like a stranger in his own home. Everything felt so different from before, though he knew nothing had changed. Nothing but him. While he ate the scone, his mother kept talking, and he nodded, barely hearing her over the panic in his head. They walked through the kitchen and stopped at the bottom of the stairs to the bedrooms. His mother’s smile was unsure again, knowing these stairs were going to be a challenge for Danny. But he slept through supper. He’d barely stripped off his tattered uniform and unhitched his peg leg before he collapsed onto the safety of his childhood mattress. He didn’t hear his brother when he came in hours later, stood over Danny and stared at the strange outline of his body under the wool blanket. He didn’t hear his parents arguing and shushing each other. He didn’t hear a thing. He awoke in the dead of night. It was raining, the drops falling outside his window, ticking off the edge of the roof in an uneven rhythm. Danny was used to rain, both here and away. It was just about always foggy or rainy around East Jeddore. But goddamn it, Danny sure was sick of rain. Rain led to mud. Mud led to memories he didn’t want to see. But whenever he sank back into sleep, they were waiting for him, fresh and insistent. Danny scrubbed a hand over his face, hoping to wake up, shove the memories out. Out of habit, he turned his head on the pillow and looked across the room, momentarily forgetting where he was. He felt an unexpected jolt at the sight of his brothers’ bunk bed and two of the boys sleeping in it. Three more slept in the next room. He heard the boys breathing, almost in time with each other. The easy sound was a relief to Danny after so many months of living a half life: too afraid to sleep, too exhausted to stay awake. Besides the boys’ breathing, there was no other sound. Danny’s chest tightened. Then his throat. He slid the pillow from under his head and hugged it over his face, trying to muffle his sobs. 1. During World War I, the role of women changed drastically—from homemakers to munitions factory workers—but when Audrey remembers her own mother’s choices to abandon tradition and acceptable norms of women’s work, she understands that her mother did what she felt was necessary to provide for her family. Discuss Graham’s different portrayals of Audrey, Audrey’s mother, and Danny’s mother in light of the suffragette movement occurring in London and Halifax. 2. In the prologue, Graham sets up the morning of the Halifax explosion, then jumps back in time to Danny’s return to Nova Scotia. As you read the novel, did you realize that the plot was building up to that event? And given what you knew about Halifax’s history, how did Graham’s description of the horrors that happened that December morning change your understanding of the explosion? 3. Danny Baker is an example of what many wounded veterans faced when they returned from the front. Like so many others, he is jobless, depressed, and disillusioned—and without resources to help him integrate back into society. Do you feel Graham captures the need for organizations for returning veterans? What do you know about the creation of Veteran Affairs Canada and The War Amps of Canada after WWI? 4. Given the mounting tensions between Danny and Audrey, what do you think the explosion symbolizes in the novel? Thinking of Mick and Danny’s suspicions of Pierre Antoine and their organized protests, can you speak to the explosion’s impact on socialist reform? 5. How would you characterize Danny before the Battle of the Somme? Why do you think Graham uses firsthand accounts of Danny in 1916 instead of flashbacks? 6. Audrey’s art is central to her identity and a language itself. Does her art bear any similarities to Danny’s carpentry? How does Graham use both mediums in the story? 7. Given Danny’s downward spiral and his neglect of Audrey, how did you feel about Audrey and Pierre as friends, and then as a couple? 8. Danny’s relationship with his father seems fraught with the expectations of what men and husbands must do to provide for their families. How does this reflect the role of men in this time period? How does the war complicate these ideals? Compare the motivations of Danny, his brother Johnny, and their father. 9. How do Audrey and Danny’s physical disfigurements reflect their emotional trauma? Why do you think Graham prevents them from surviving the war and the explosion unscathed? 10. Earlier in the novel, Audrey is introduced to the first strains of feminism with the suffragette movement in London. How does her relationship with Pierre complicate her growth as a feminist? What do you think Graham’s characterization of Audrey throughout the novel says about women of this time? 11. Why do you think Danny is unable to open up to Audrey when he returns home from the war? How would you characterize their early love, given the obstacles they must overcome together? 12. It is evident to the reader that Danny is suffering from Post-Traumatic Stress Disorder. There is a lot of discussion about this in the media today. However, back then, it wasn’t nearly as well known or even named or talked about. The author makes specific mention of dogs as they relate to Danny, both in the trenches and at home. Today, the practice of PTSD companion dogs can offer a great source of relief and alleviate many of the long lasting effects of the disorder. What do you think about the use of animals to help treat PTSD? 13. 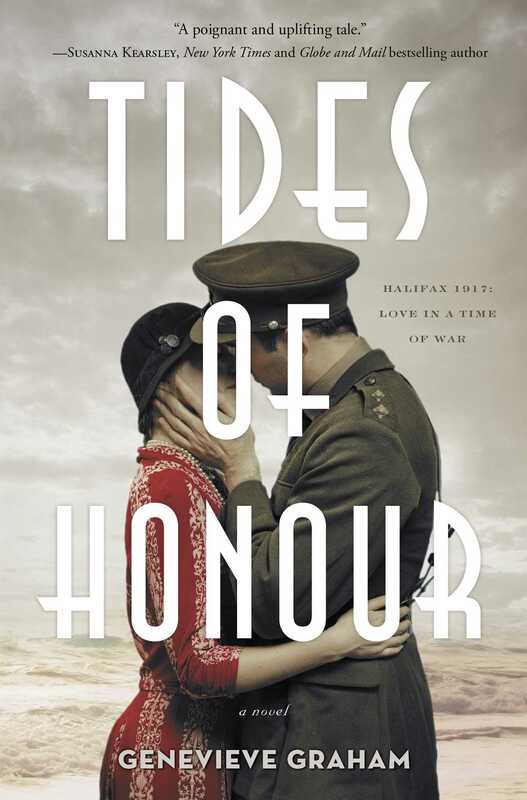 What do you think the title Tides of Honour refers to? 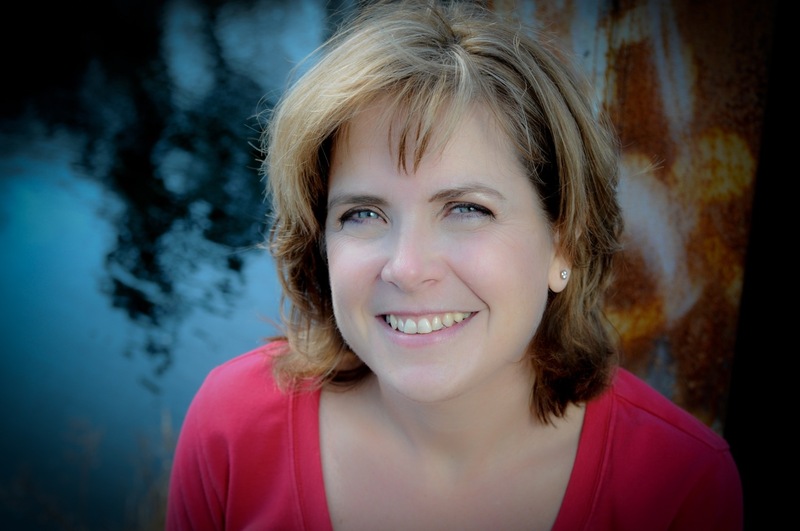 Genevieve Graham is the bestselling author of Tides of Honour, Promises to Keep, and Come from Away. She is passionate about breathing life back into Canadian history through tales of love and adventure. She lives near Halifax, Nova Scotia. Visit her at GenevieveGraham.com or on Twitter @GenGrahamAuthor.